$32 - Perfect for your glitter-loving daughter, these new shoes to LaBella Flora will be sure to add a sparkle to your fashionista's eye. Ready for a fun day at the park or a day at school, these shoes can easily slide on and make any outfit pop! 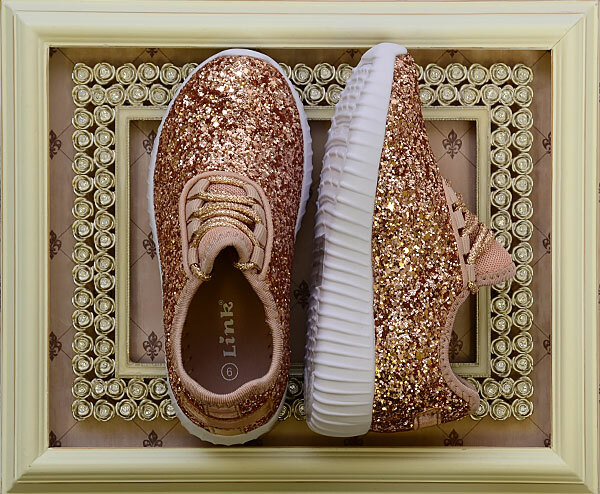 Covered in rose gold glitter, the shoe has a white brim and matching rose gold shoe laces. Why buy any boring pair of sneaker when you can have these one of a kind, pure sparkle sneakers!